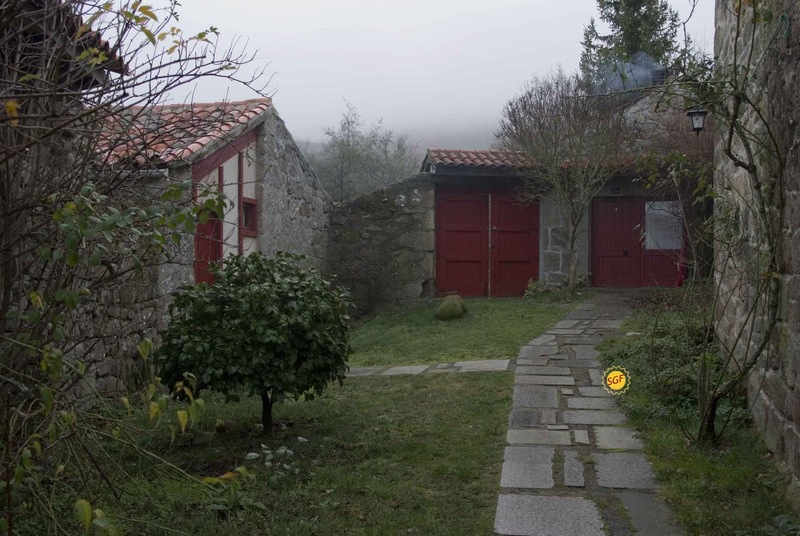 Last Christmas I spent some days in Caserío da Castiñeira, a rural house in Ribeira Sacra, which is the county of river Sil canyon, in the Galician province of Ourense. 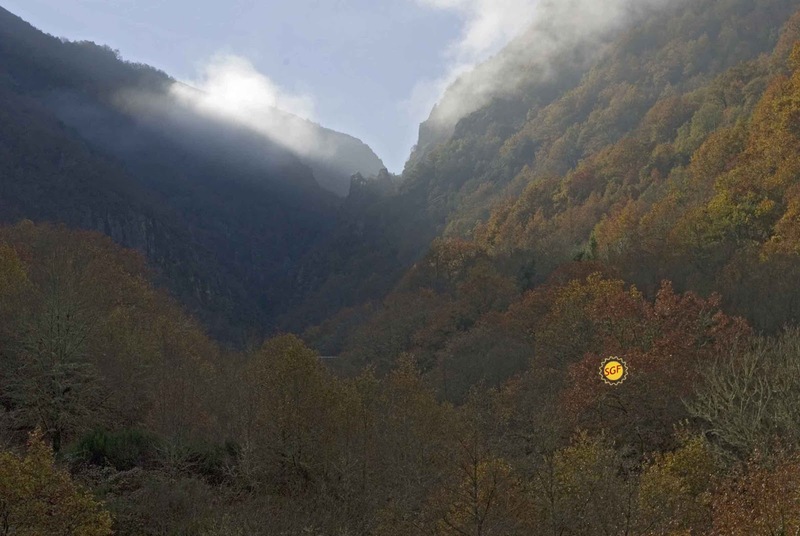 It is in a forest near the mountains, in a peaceful rural area where you can rest peaceful and quiet. Caserío da Castiñeira is composed for several houses, each one fully equipped with bath, little kitchen and living-room. The hosts, Carmen and Juan, make your stay very nice and comfortable. Carmen is a very good cook. She cooks natural and ecological food and she is specialized in cooking for people with special food needs (coeliacs / celiacs, diabetics or intolerants to dairy, eggs, nuts, etc). We had a New Year’s Eve dinner, vegan, vegetarian and gluten-free, and everything was really tasty. For us (not vegetarians) it was a different and very positive experience and it made grow our interest in that kind of cooking. In Cocina Medicina Carmen publishes the recipes of the dishes she cooks in Caserío da Castiñeira. They also organise cooking courses and “detox stays” in order to repair our bodies with a raw, biologic feeding. If you go to that beautiful place, you can not miss Ourense treasures: historic city centre of Ourense, the roman thermal baths, visit the Ribeira Sacra wine cellars, know San Pedro de Rocas, Santa Cristina de Ribas de Sil, Santo Estevo de Rivas de Sil (currently Parador Nacional) monasteries, make a boat trip through the Sil river. The house is near Cabeza de Manzaneda ski station, so if you go there in a cold winter you will able to practise skiing. Por allí se bebe uva mencía y godello, nada de cerveza. Y el pan de Cea, ni olerlo. ¿Os hicieron pan especial? Sí, hicieron unos bollos de pan de calabaza muy ricos! There many casa rurals in the Ribeira Sacra which can cater for various dietary needs- Vegetarian Gluten Free Vegan or more. This location has the advantage of specifically preparing these foods. But do not limit yourself to them if they are not available ask around. The area is great and not so well known. Sorry for my not so perfect English.